In my last post you read about how Bogotá surprised me. 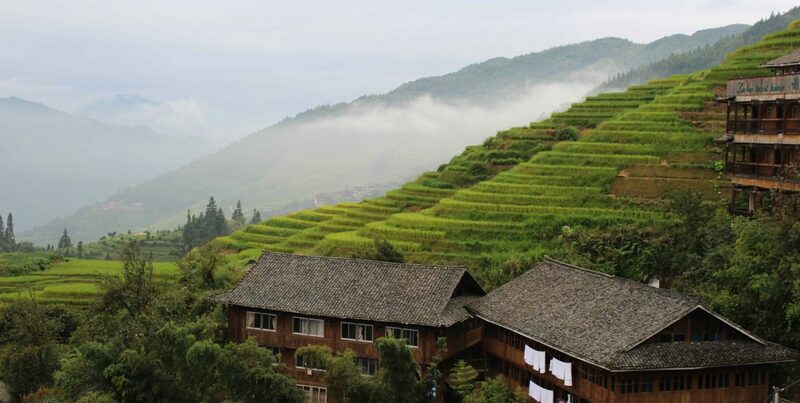 Not only the city is great, there are also many things to do in the near surrounding. 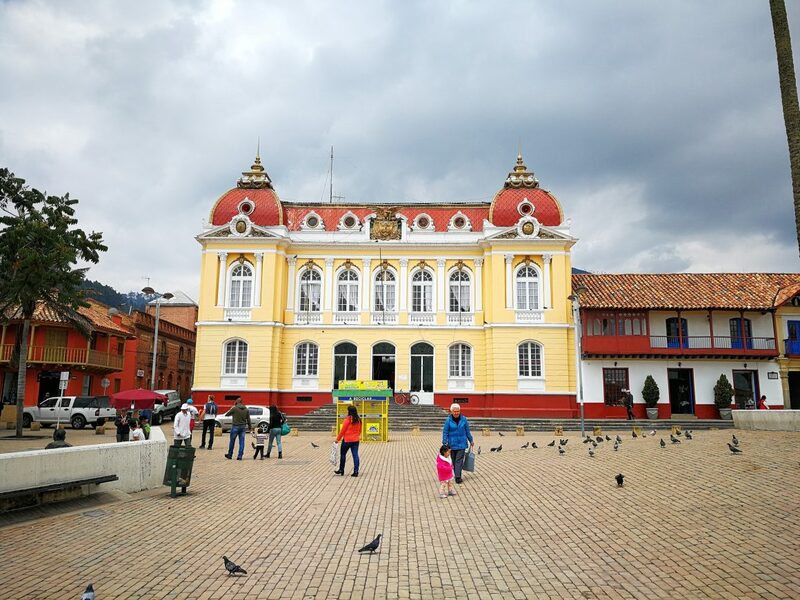 We went for a day trip to Zipaquirá, a city 50 kilometers north of the Colombian capital. The biggest attraction of this city is La Cathedral de Sal. Literal translation: the Salt Cathedral. Before you think this is a big church entirely made of salt, it is not. 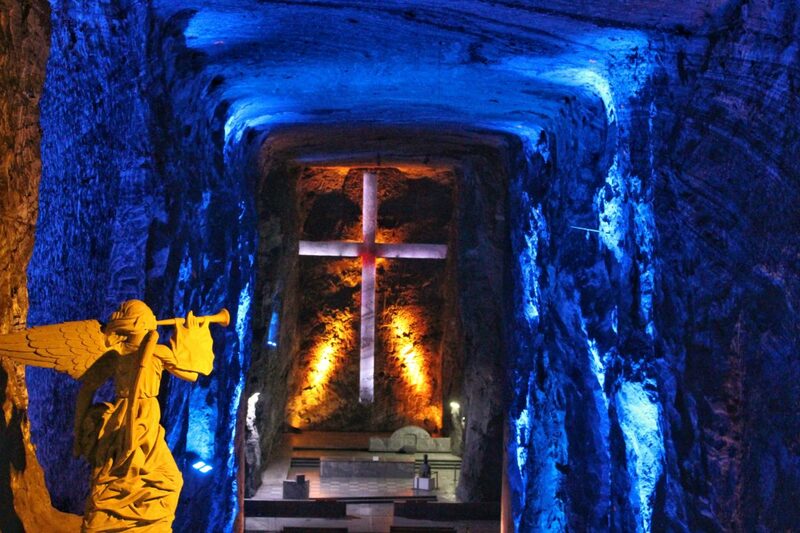 It is chain of underground prayer rooms in a former salt mine. 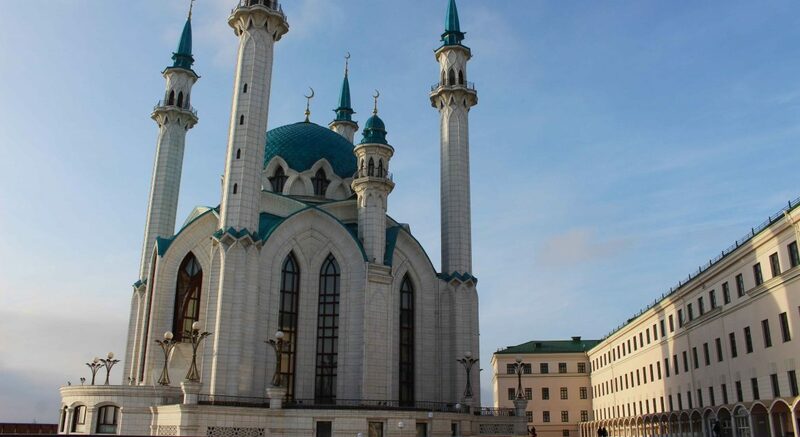 This extraordinary construction attracts tourists from all around the world. 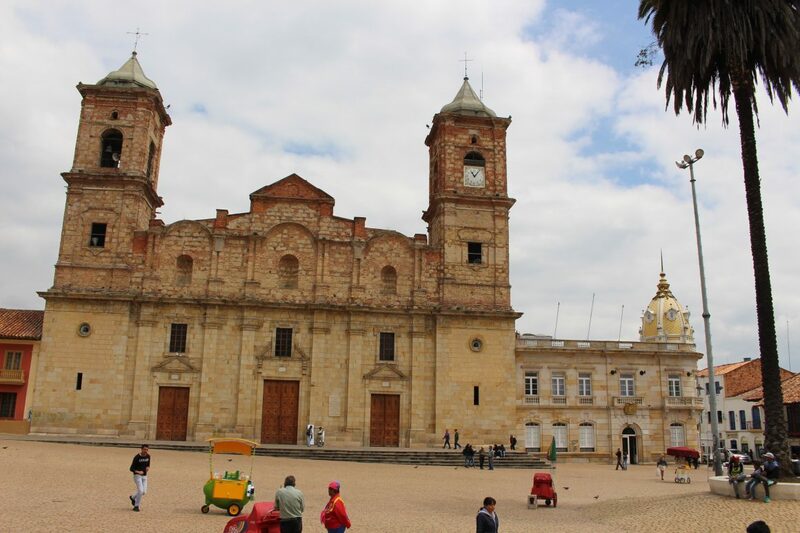 Also we came to Zipaquirá for this cathedral, but also discovered that the city itself is also quite interesting. The story behind the salt cathedral dates back to the 1930s. Mine workers decided to carve out a little chapel out of the rock salt walls, which they wanted to use for prayer for protection before every shift. This was the start of a chain of little chapels in the mine. After the salt production was ended in 1992, the government decided to transform the mine into a proper cathedral. Three years later the cathedral opened its door at a depth of 200 meters. Figuratively spoken of course, the mine does not have any doors. There are only three salt cathedrals in the world. You can find one of them in Colombia and two in Poland. Although I have been twice to Poland, not once have I succeeded in visiting one of these structures. 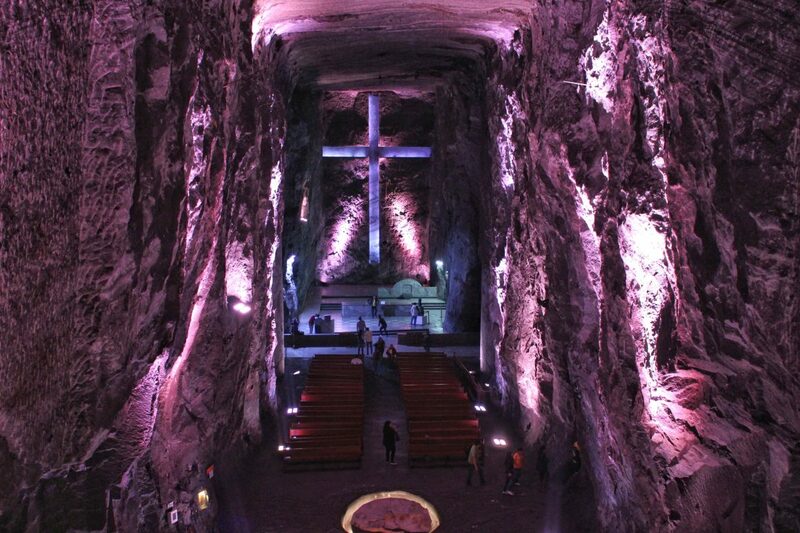 The Colombians are very proud of their salt cathedral. Because of the magnificent architecture and the illumination it is often referred to as a national world wonder. Up until today it is still used as a church. Every Sunday 3000 Catholics descend into the mine for the religious service. Fun fact: strictly speaking it is not a cathedral due to the fact it has no bishop. 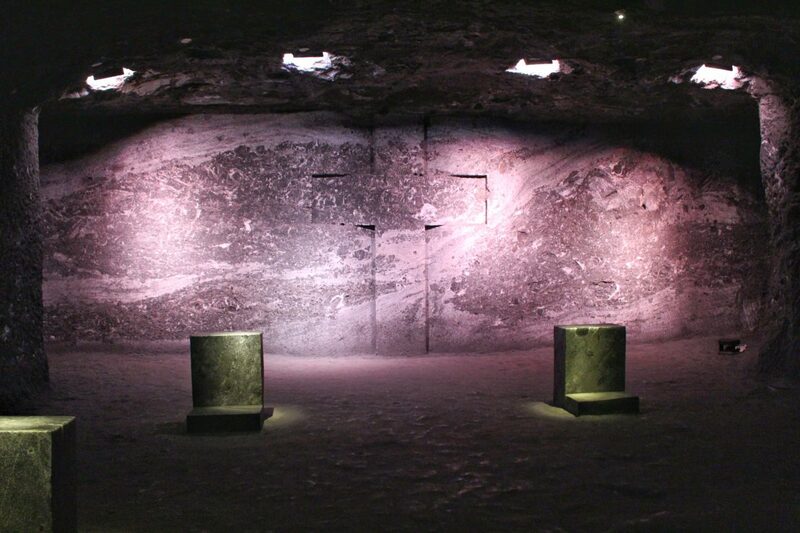 It is only possible to visit the salt cathedral by joining a Spanish or English tour. The entrance fee is 25.000 pesos per person. The guide accompanies you along the 14 chapels with illuminated crosses and guide you to the main hall. After the tour you can explore the cathedral all by yourself. Personally, I thought it was an interesting experience, but at the same time it felt a bit touristy. The chain of underground souvenir stores ruined the religious atmosphere a bit. It was quite difficult to make good photos in the mine. In reality it is much more beautiful than these photos show! The majority of tourists choose to leave Zipaquirá after their visit to the salt cathedral. We decided to stick around for a couple more hours to see a bit more of the old city center. 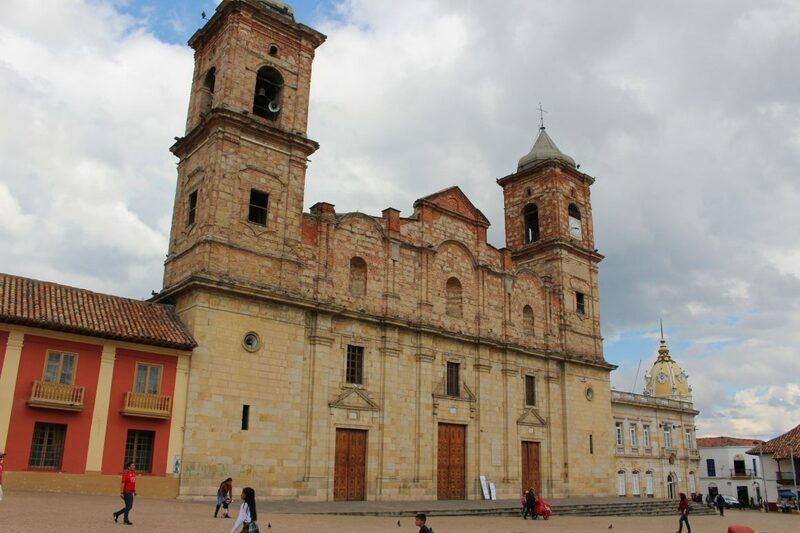 Zipaquira is founded in the year 1600 and many buildings are constructed according to the Spanish colonial style. Before the Spanish came to Colombia, this area belonged to the Muisca tribe. This indigenous nation were the ones who introduced the salt production in Zipaquirá, a highly wanted commercial product. In the Gold Museum in Bogotá you can learn more about this tribe. 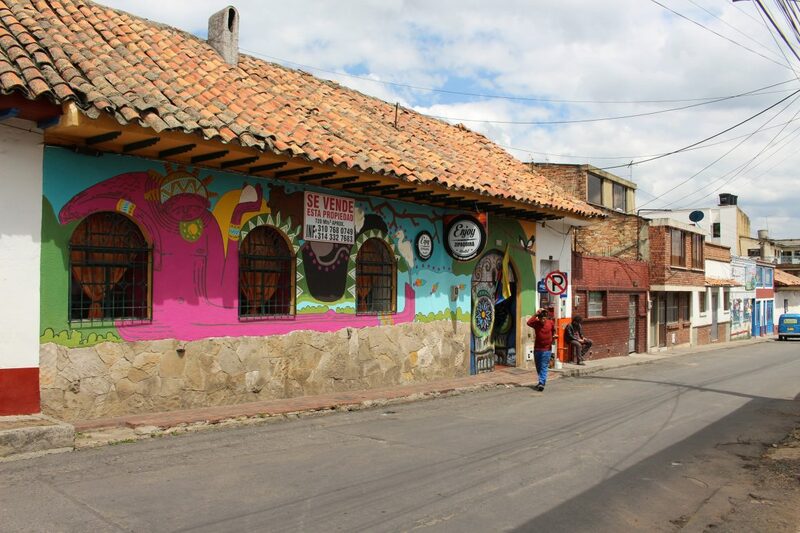 Read more: the pleasant surprise that is called Bogotá. 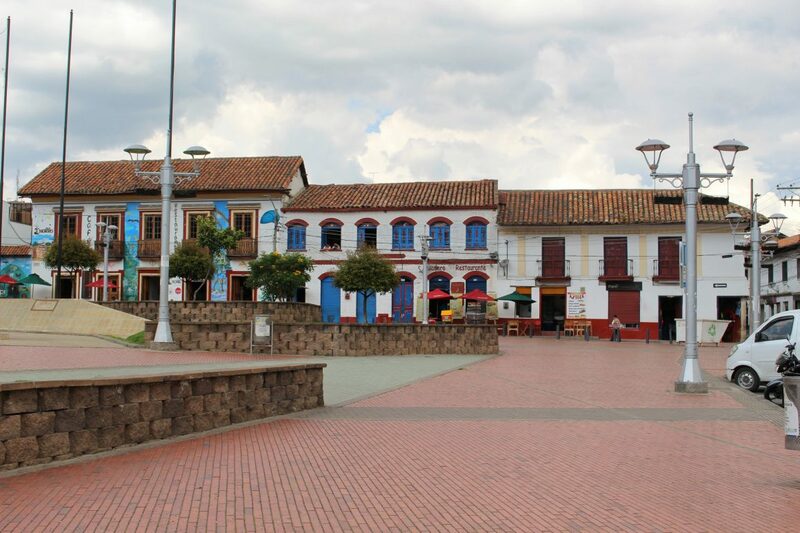 Back to present day Zipaquirá. The beating heart of the city is the Plaza de Los Comuneros. The eyecatcher of this square is again a cathedral, but this time it is a more traditional one: Cathedral de la Satisima Trinidad Y San Antonio de Padua. The massive palm trees on the square create nice areas with shadow to rest your feet. 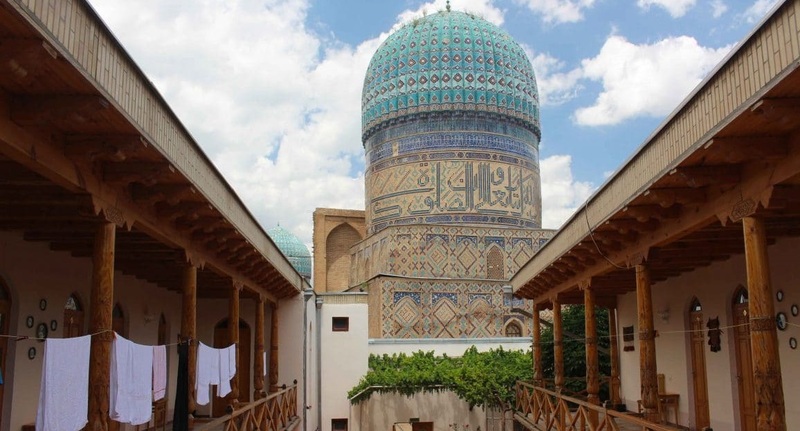 The corners of this square lead to a maze of colorful alleys and streets. Looking for a place for lunch? 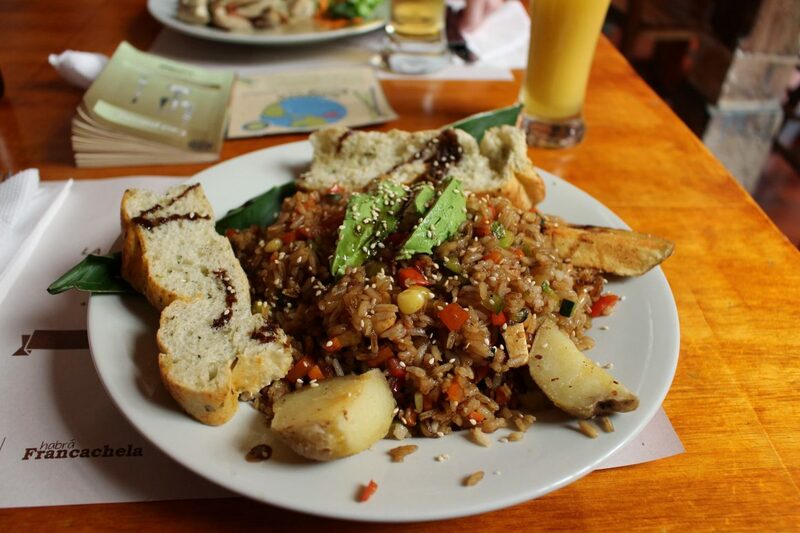 I had a great lunch at Casa del Chorro at Plaza de La Independencia, a great choice for vegetarians. The busses to Zipaquirá depart from bus station Portal del Norte. The cheapest way to get here is with the TransMilenio bus. The lines that start with a green-colored letter B go to the northers parts of the city. You can buy your bus ticket at the booths at the TransMilenio stations. An one-way ticket cost 2.300 pesos per person. Open the gates with your plastic ticket and find the number of your bus (for example B14 or B10). Busses stop at specific glass doors on the station. At Portal Del Norte you get out and walk to the other side of the station for the busses. Look for the bus with the text ‘Zipa’ on the front. Or just listen to what the young sellers are yelling. They have the job to fill up the busses. You can buy a ticket during the ride. The young sellers will walk through the bus to take care of the payment. Price should be around 2.000 to 4.000 pesos for a one-way ticket. 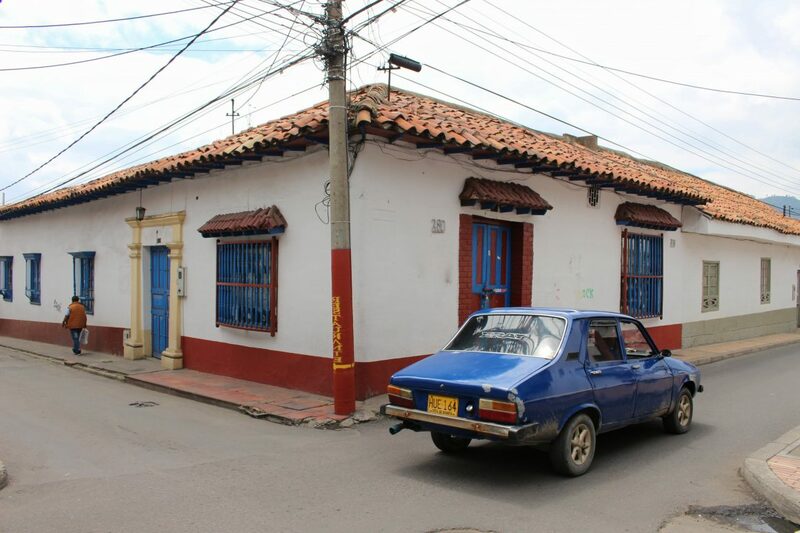 The drive to Zipaquirá takes about 1 hour. Once you enter the city, you should wait until the young sellers shout ‘Cathedral de Sal’. 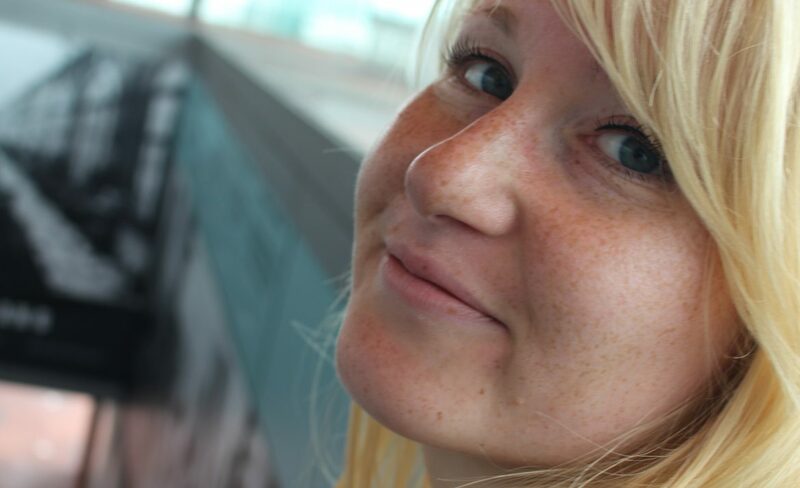 You probably look like a tourist, so everyone in the bus knows where you are heading to. Seen everything there is to be seen in Zipaquirá? Walk back to the main road (Calle 4). Find a convenient pick-up spot and listen to what the young sellers are shouting when the bus passes by. They want to fill up the buss, so they will pass slowly. If you hear Portal del Norte Bogotá, raise your hand and the bus will stop. At Portal del Norte you can take the TransMilenio bus back to the city center. This time you take the busses that start with a light purple colored letter J. These go the south part of the city. A small warning for the TransMilenio bus: Colombians are not afraid of pushing. Once the bus opens its door, people (young and old) will push their way in like their life is depending on it. It is every man or woman for him- and herself. You should also avoid rush hour. The busses will be overcrowded and it will take a lot of effort (meaning: pushing) to get yourself in or out of the bus. 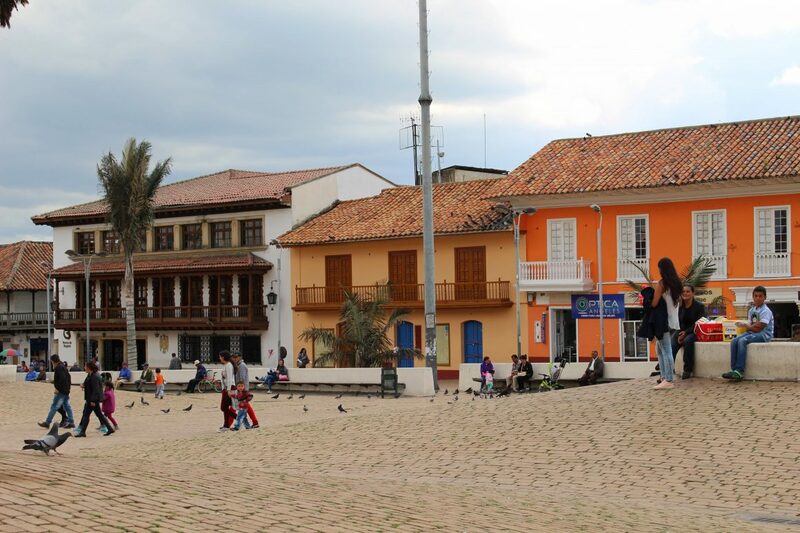 Have you been to Zipaquira?